Morocco puts automotive on North Africa's map - The Maghreb Times ! An unnamed manufacturer would launch production in the North African kingdom in 2021 or 2022, according to Khalid Qalam, senior adviser with Invest in Morocco. Before the end of next year, Morocco officials hope to announce the name of a third global automaker to build an assembly plant there. The unnamed manufacturer would launch production in the North African kingdom in 2021 or 2022, according to Khalid Qalam, senior adviser with Invest in Morocco. That third player would join Renault, which has two factories in Morocco, and PSA Group, which will begin building cars near the coastal city of Kenitra in 2019. But Morocco has even bigger plans for the industry. The country is working to recruit a fourth major automaker plant before the end of 2021, Qalam says, with production starting in 2023 or 2024. A fourth project would help the country reach its stated goal of having the capacity to build 1 million vehicles a year by 2025. “At that level, we believe Morocco will rank among the top 15 vehicle-producing countries in the world, and quite possibility even enter the top 10,” Qalam said. Officials are mindful of the shifting nature of global technologies, he adds. Morocco is encouraging its next vehicle manufacturer to produce a platform that allows it to manufacture both electrified vehicles and conventional models. Morocco’s pitch to world automakers is that it offers a low-cost base to produce models for export to Europe. But to help make EV production more attractive, Morocco will be providing consumer incentives to get local buyers to consider switching to models that fully or partially run on battery power. By 2025, Morocco wants annual sales of electrified vehicles to rise to 70,000 to 100,000 from small numbers today. The move to electrified transportation coincides with Morocco’s aim to become a major producer of solar power and to cover half of the country’s energy needs from alternatives such the sun, wind and biomass. The average wage in Morocco is less than 400 euros ($450) a year, compared to 2,000 euros just across the Mediterranean in Spain. The tax rate on companies is 0 percent for the first five years, and businesses are given a big break on value added tax. 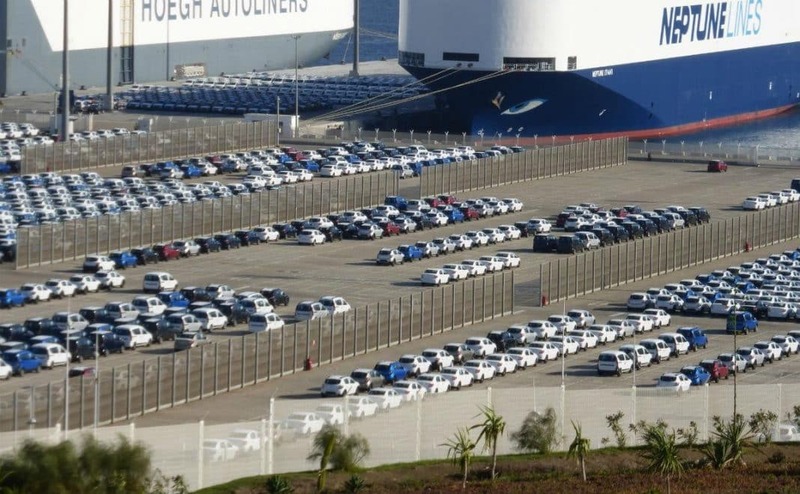 The country’s Tangier Med Port is already capable of processing 1 million vehicles a year. In addition, a high-speed rail line between Tangier and Casablanca is set to be operational in 2018. Debate: Should Morocco Say Goodbye to ‘Mama Franssa’?